On Friday, Jan. 17 and Saturday, Jan. 18, The Cosmopolitan of Las Vegas unveiled its new social club Rose. Rabbit. Lie., showcasing why the luxury resort continues to raise the bar as one of the hottest and most innovative resorts in the nation. During the grand opening weekend, guests dined on decadent small plates, enjoyed hand-crafted cocktails, experienced Vegas Nocturne, Rose. Rabbit. Lie’s anchor entertainment, and celebrated until the sun came up. On Friday, actor Neil Patrick Harris and his husband David Burtka enjoyed the 10 p.m. canto of Vegas Nocturne from the venue’s VIP Boxes with a group of friends. 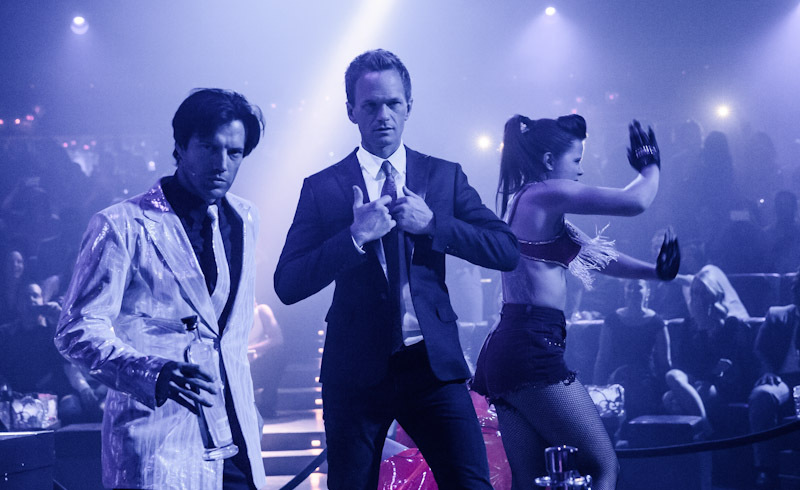 Neil Patrick Harris also made a guest appearance onstage surprising an unsuspecting crowd during the late-night performance. Afterwards, the “How I Met Your Mother” star participated in a celebratory pour with magnum bottles of Louis Roederer Brut Premier over Rose. Rabbit. Lie.’s signature 500-coupe glass champagne tower with The Cosmopolitan’s Chief Executive Officer John Unwin. Neil Patrick Harris and friends ended the night with cocktails in Rose. Rabbit. Lie.’s exclusive VIP area. Neil Patrick Harris at grand opening of Rose. Rabbit. Lie. The grand opening celebration continued on Saturday night as guests tasted signature dishes from executive chef Wesley Holton, including Short Rib Stroganoff, Oysters Rockefeller and Beef Wellington, and inventive libations, such as El Diablo, Mark Twain and Monkey Gland. 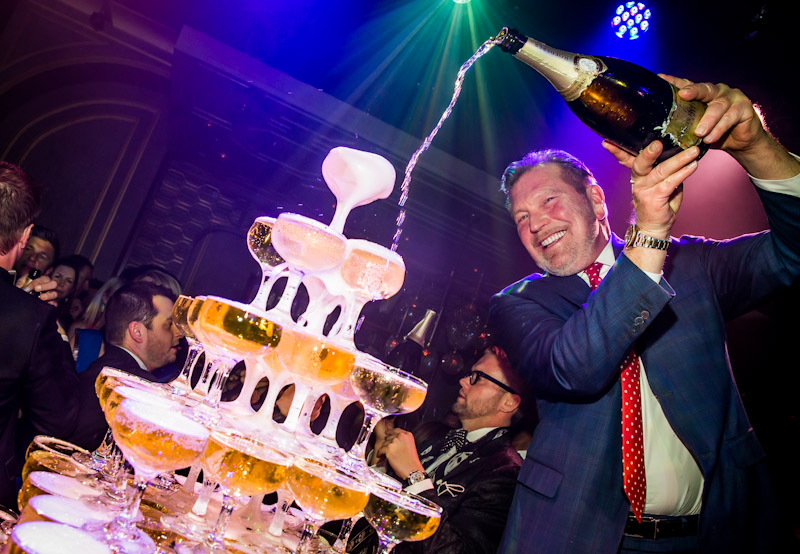 Following the Late Night canto of Vegas Nocturne, the versatile venue shifted into a nightlife experience with a second 500-coupe glass champagne tower in the ballroom featuring magnum bottles of Louis Roederer Brut Premier. A rebirth of the social club, Rose. Rabbit. Lie. is a modern twist on clubs of the night—a truly communal venue, where the experience lies not only with the power of production, but within the excitement of improvisation. 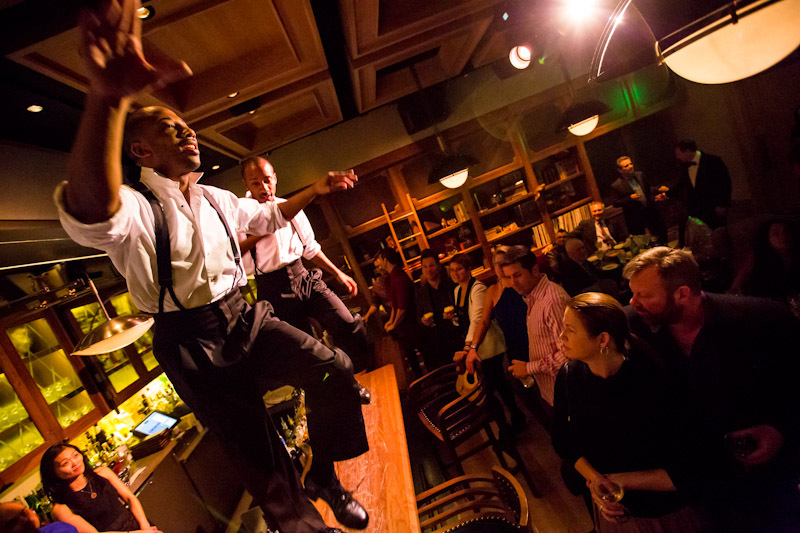 The result is an entirely new genre that blurs the lines between restaurant, bar, club and live entertainment to create a grand social experiment; one that arrives in spontaneous moments throughout the evening. This new venue delivers an unexpected mash-up featuring world-class partner Coastal Luxury Management, curating food and beverage, and entertainment partner Spiegelworld, creators of Vegas Nocturne. An ever evolving experience, Rose. Rabbit. Lie. adheres to no standard model, follows no written rules. Come when you want. Leave when you wish. Let the night take the lead. Vegas Nocturne arrives nightly in three distinct Cantos: 8 p.m., 10 p.m. and Late Night (12 a.m.) – each unique high points in a story whose plot coyly evolves, twisting and turning with the passing hour. Vegas Nocturne does not live on a stage or with the rise and fall of a curtain. Rather, it is woven through the guest’s entire experience, a unique balance of choreographed and unscripted dramatics deeply ingrained with live, unconventional music that leads watchers on a new journey through each scene. The Cosmopolitan of Las Vegas is the city’s newest luxury resort offering a decidedly different perspective. Located at the heart of The Strip, the resort’s uniquely vertical multi-tower design offers spectacular views of the vibrant city. The new 2,995-room resort features oversized residential-style living spaces with expansive, one-of-a-kind private terraces. The Cosmopolitan’s luxurious resort amenities include a 100,000 square foot casino; Sahra Spa & Hammam and Violet Hour Hair Nails Beauty; three unique pool experiences; Marquee Nightclub & Dayclub, a multi-level integrated indoor/outdoor nightclub and 150,000 square feet of state-of-the-art convention and meeting space. An eclectic line-up of new-to-market retailers include: AllSaints Spitalfields, CRSVR Sneaker Boutique, DNA2050, EATDRINK, Jason of Beverly Hills, Kidrobot, Molly Brown’s Swimwear, Retrospecs & Co, Skins 62 Cosmetics, Stitched and Utique. Signature restaurants include: Blue Ribbon Sushi Bar & Grill by restaurateurs Bruce and Eric Bromberg; Comme Ça by Los Angeles Chef David Myers; Estiatorio Milos, by international restaurateur Costas Spiliadis; Holsteins from Block 16 Hospitality; Jaleo and China Poblano restaurants by acclaimed Chef José Andrés; Scarpetta and D.O.C.G. 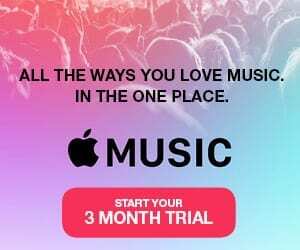 by award-winning Chef Scott Conant; and popular steakhouse STK from The ONE Group; bustling culinary food hall The Wicked Spoon; and The Henry, an all-day dining concept.